We're here to help the UNO community tell a consistent story about our contributions and vision for the future. Here is an overview of the award-winning work done by University Communications. Explore our services to see how we can assist you with your next project or event. University Communications is responsible for the planning and execution of several campuswide events including May and December commencements, Faculty and Student Honors Convocations, and more. These events showcase the university as a whole and its mission on a public stage. 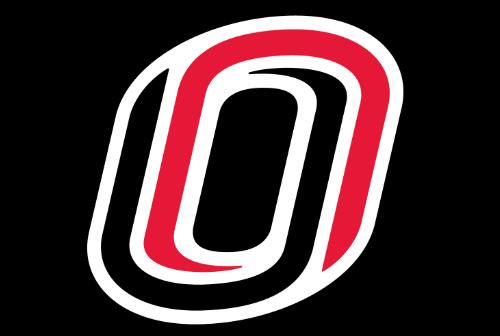 It is critical that email sent from unomaha.edu follow UNO’s email and messaging policy. Email follows the brand guide regulations for logos and lockups. It is important to keep all emails clean, ideally one column or one wide column with a teaser image to optimize on mobile. The campus has preferred tools for sending mass emails. The Maverick Daily, the Bullseye (formerly the Maverick Weekly), and UNO Alert/Announce emails are all internal communication tools used by University Communications. Media Relations works to foster knowledge about UNO locally, nationally, and around the globe. This is done by sharing the UNO story through the cultivation of individual campus stories, the exchange of information with members of the media, and coordination of interviews with faculty experts. Media Relations maintains the UNO News Center, and the UNO News Center Twitter account. One of the most effective and compelling tools for expressing the character of the UNO brand is the use of dynamic photography. Through careful planning, execution, and application of photography we have the opportunity to raise our visibility within a competitive market. UNO has a library of photos that can be used by departments, colleges, and programs. University Communications has created a website to share photos with the UNO community for use in publications, web pages, and other materials. Social media is an important part of how we, as a university, communicate with our students, alumni, faculty, staff, and other key audiences. Since January 2013, UNO's website has been undergoing substantial changes. In collaboration with offices, departments, and colleges across campus, University Communications and Administrative Information Services have been working to transition "old" to new pages in order to support our university's goal to grow enrollment and to have a website that accurately reflects the opportunities UNO offers future and current students. The website renovation is taking place in a series of phases. Priorities are determined by the members of the Digital Communications Executive Committee. A formal governance policy provides structure, accountability, and a strategic framework to guide our digital communication efforts. Use our Start Your Project form to begin exploring various communication channels for your project.